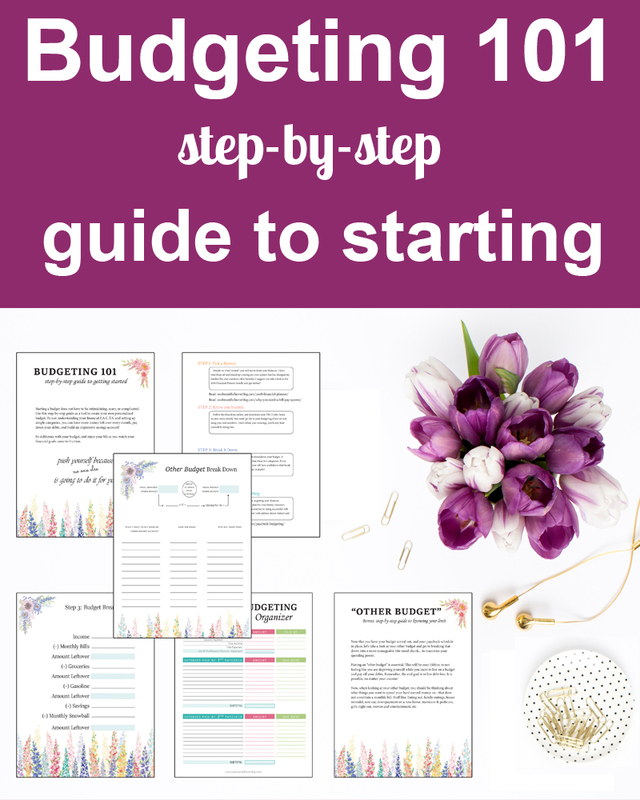 Budgeting 101 - Step-By-Step Guide to getting started! Getting started budgeting is often times made out to be way more complicated, intense and overwhelming than it should be. Budgeting is not only pretty simple to set up, but it can also be completely liberating. Knowing exactly how much money you have, as well as knowing where your money is being spent is absolutely life-changing. More often than not people tell me that they don’t have a budget. They don’t have one because ‘They don’t know where to start”. These people are overwhelmed by the hole they have found themselves in. They feel helpless/clueless on what to do, or how to turn their situation around. 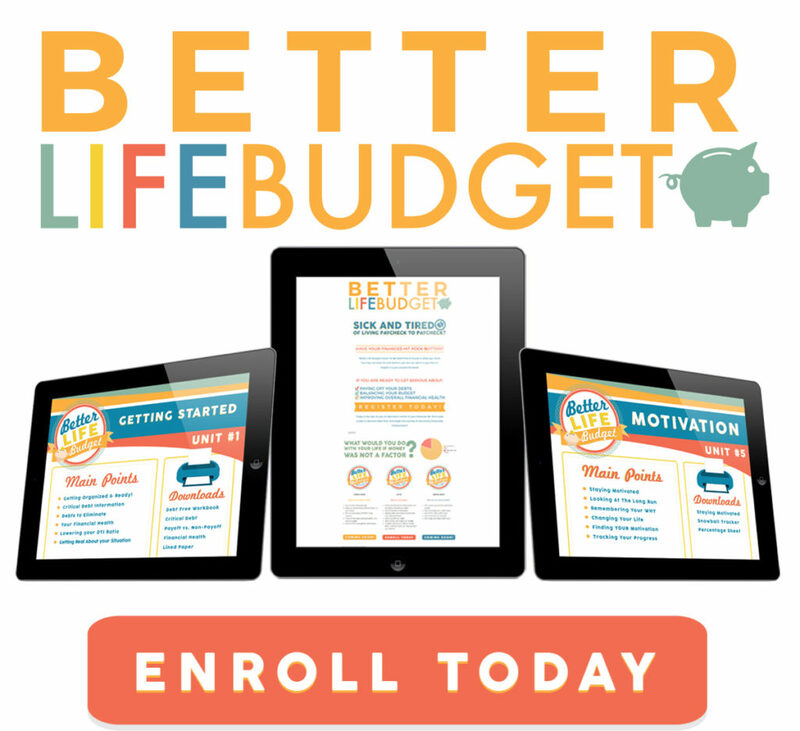 Well, I am here today with a step-by-step plan for you to start budgeting! If you are starting from zero (Meaning not having a budget or plan set in place) there is a proper sequence of steps to get you and your family set up properly. I will lay out the steps in the correct order. There is a rhyme and reason for these steps – so make sure you complete them as directed. It will make your life easier, and will also make your success rate higher! 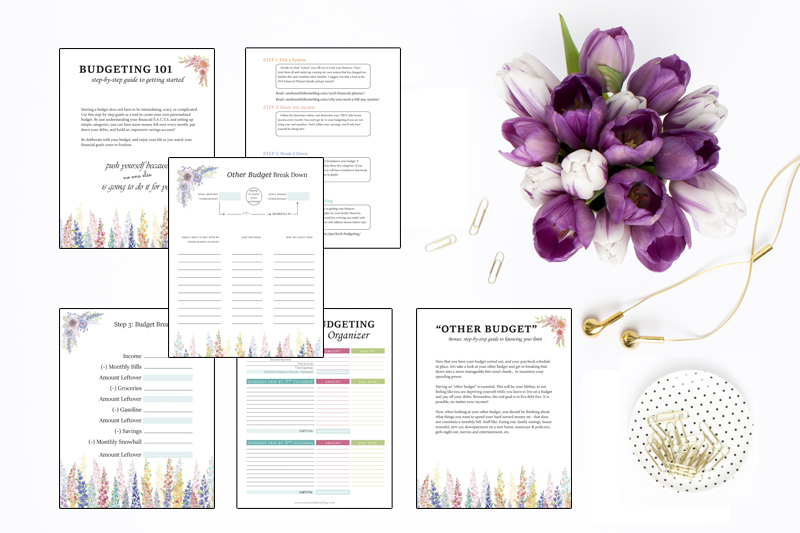 I have created a FREE checklist printable along with some awesome worksheets for you – that also lays out the steps and give you pages to figure it all out! Grab it below!! My biggest tip for everyone is to just start today. I don’t believe in tracking your income for a month or more to see how much you spent and where you spent it. That won’t really help you, plus you just set yourself back two months! Start now. Stop caring about what you spent last month, and focus on today, and all the following days. Of course, I will suggest you go with my 2019 Financial Planner! 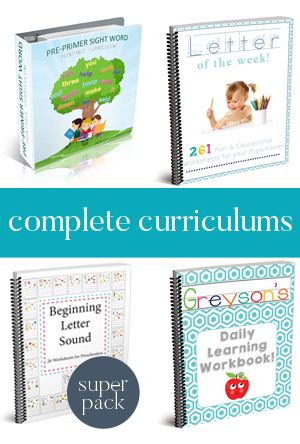 (The whole bundle is only $15). 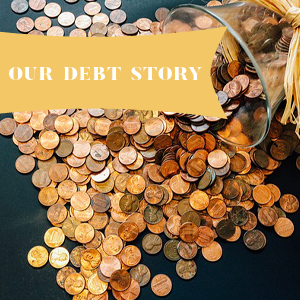 I struggled with our finances for a long time until I put my nose to the grindstone and created a system that has not only worked for our family – but thousands of other families as well! However, you do have a lot of options – you can go digital with YNAB, Mint, or Everydollar (Just to name 3) – but they all come with monthly or annual costs (One is $99 a year!). For beginner budgeters, I suggest you go back to paper and pencil. At least until you have your budget and finances working without hiccups! Tip – Stop overcomplicating it. I do not believe in having budgets for every item in your life. It should be simple! Think of the only categories: Bills, Savings, Debt Snowball, Groceries, Gas and Other.Done. If you don’t believe that nail polish should be considered a grocery expense, it goes in the “other” category. You’ll set how much of that you get a WEEK, and once it is gone it is gone. **For us, if it can be bought at the grocery store it is considered a grocery expense and comes out of my weekly grocery budget. 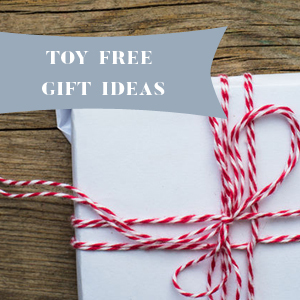 This includes diapers, cat food & litter, shampoo, etc. You have to be committed to your budget – no matter what system you use, if you do not make a guarantee to yourself to adhere to it, no system will work. Why You Need a Bill Pay System! So here is the deal. We have a monthly budget (The overall budget) but we do not budget on a month to month basis, anymore. Nope! Instead, we take that monthly budget and break it down to week to week. By doing this you make is SO much easier. Your grocery budget now only has to cover 6-7 days, instead of 30. Anyone can feed a family for 120.00 for 6 days! In addition, by doing this you are giving yourself the ability to “course correct” when your budget this week goes off track. You can make up for the mistake instead of suffering from it! Another budget-related category I am always surprised to hear that people don’t know is how much money they bring home every month. They may know their annual salary, but after health insurance, taxes, and retirement – they don’t actually know how much they bring home. Find this out. Examine your last paystub – and know what you make! If your income is irregular, take the paystubs from the past three months, and divide the total of net income by the number of paystubs you have. Use this average – but make sure in the next step you allow for wiggle room in case your income is less than your average. Now it is time to start setting up your budget. I want you to break this part down into bite-sized chunks. *Use the downloadable files to complete this step! 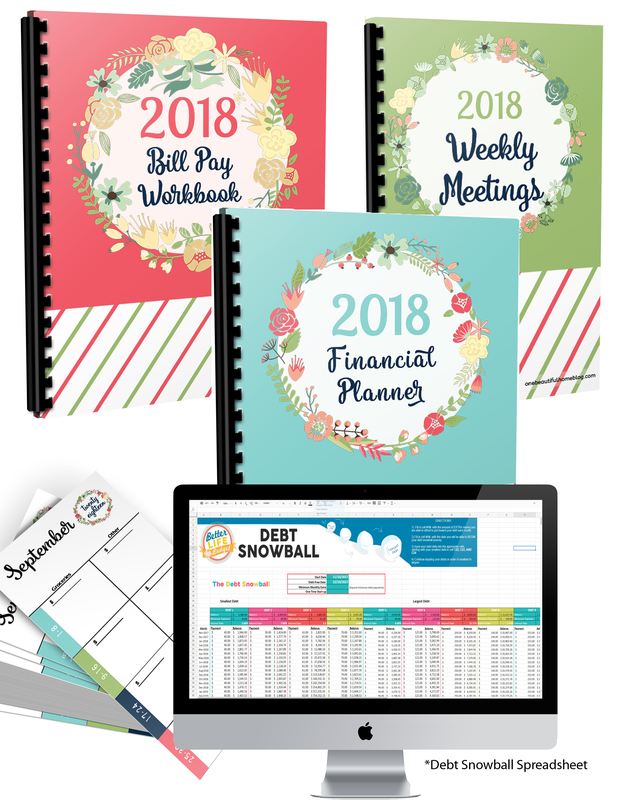 There is also a Budget Breakdown in the 2019 Financial Planner, along with pages of worksheets that walk you through all these processes much easier! I want to tell you what NOT to do at the moment – I have seen way too many people create these fancy envelopes, with categories galore (Entertainment, eating out, groceries, gasoline, daycare, clothing, car maintenance, etc). I understand the “why” behind this, but it seems so dangerous (What if you lose it! ), it is intense and hard to manage. This is not the way to budget your money! Groceries ($100 per person per month, should be your guide) – you can read all about how to manage your grocery budget, HERE, HERE, AND HERE. Those are the categories we use, and it makes our life SO much easier, plus we have more in our savings account than ever before – and our student loan payoff has gone from 24 years, down to 6! 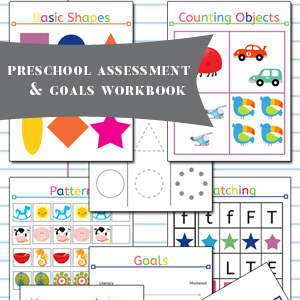 *Again, please use the free workbook offered above to break it down! 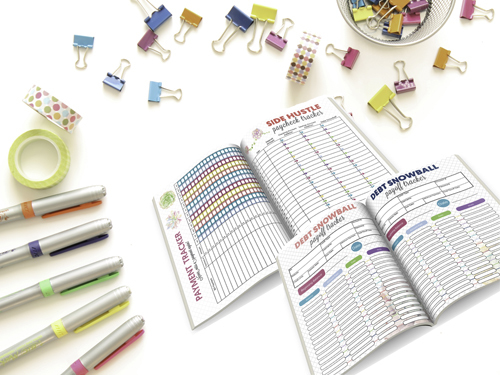 On the 4th page of the free download, you can use the Paycheck Budgeting page to organize your system! Your other budget is everything else that you spend money on that are “WANTS”. These are not your bills. This is taking your family out to dinner – new clothing – presents – manicure & pedicures – fancy car parts. You are allowed to have these in your life, as long as you can truly afford them. By already accounting for savings and debt repayment, you can make the informed decision on what your other budget should be. Here is the thing – when its gone for the week, it is gone. You don’t get to borrow more from the next week because you probably won’t stick to the smaller other budget the following week. However, you can save your other budget from this week and add it to the following weeks if you are saving up for a larger purchase! By all means, save away. 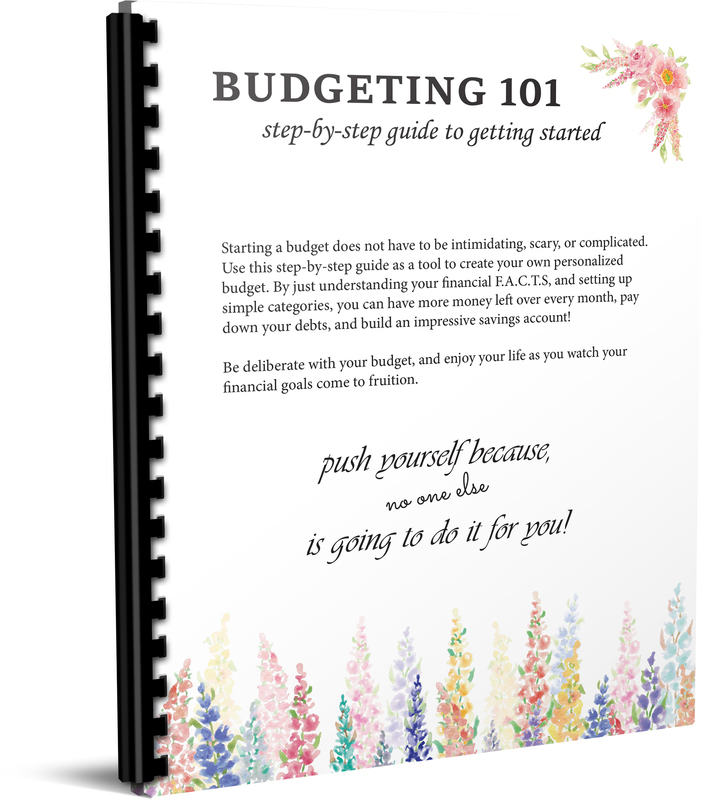 In the budgeting 101 guide, there is a whole page dedicated to helping you figure out what you want to be included in your other budget! Grab it for free below!